In the United States, hearing loss affects up to 40 percent of people over the age of 65 and as many as 3 million children. While it’s a relatively common problem, most people wait years to address their hearing loss, which can affect relationships, work, quality of life and even mental health. While some reduction in the ability to hear is a natural part of aging, there are many factors that can make hearing loss progress more quickly and even worsen if it’s left untreated. From too much earwax to a rare autoimmune disease, here are seven little-known factors that can contribute to hearing loss. Also called cerumen, earwax is a shiny, sticky wax made by glands in the outer part of the ear canal. It helps to protect the skin of the ear canal by moisturizing it, and it also has several chemicals in it that fight infections should any trouble develop inside the ear canal. It also forms a protective shield that keeps your eardrum safe from anything that may make its way into the ear by trapping particles, dust and dirt before they can reach the eardrum. Clearly, earwax is a helpful substance, but too much of it can lead to hearing trouble. When too much earwax builds up in the ear canal, it can block sound waves from reaching the eardrum properly, which makes hearing difficult. Earwax buildup can affect anyone’s hearing at any age, and when it’s removed, hearing generally returns to normal. How earwax is removed is important, however. Never stick anything into your ear because you could cause a rupture can occur or push earwax further into the ear canal. 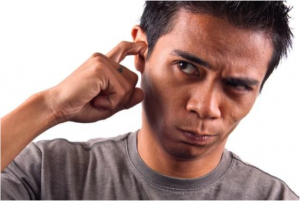 If you’re already suffering hearing loss, the irony of the situation is that not treating it will result in more hearing loss. Your ears are not in a static state and not addressing hearing impairment will make it worse. Untreated hearing loss can also lead to atrophy in the auditory processing regions of the brain, which will also contribute to greater hearing loss. The bottom line is that not treating hearing problems will lead to more of them, so if you’re suffering from hearing loss — even if it’s mild — talk to an audiologist and see how they can help. 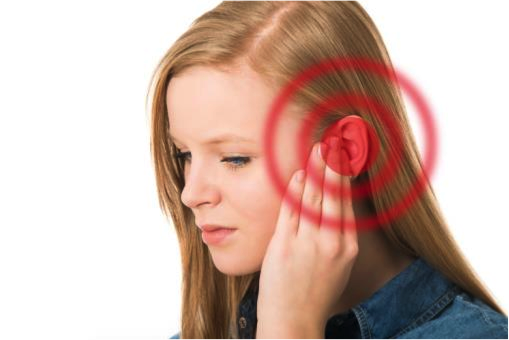 It probably comes as little surprise that a ruptured eardrum can affect your hearing, but what causes a ruptured eardrum may be less commonly known. Loud noises, pressure changes, infections and simply putting something in your ear can all cause a rupture. While a ruptured eardrum can be uncomfortable, it will usually heal on its own in a couple of months so long as no further damage is caused. An inflammatory condition of the inner ear, autoimmune inner ear disease results in a sudden onset of hearing loss that requires immediate medical attention to control the amount of hearing loss that is permanent. Extremely rare, it happens when your immune system mistakes cells in the inner ear for a bacteria or virus and attack them. Another disorder of the inner ear, Ménière’s Disease generally affects people between the ages of 30 and 50. Marked by tinnitus, vertigo, random hearing loss and sensitivity to loud noises, the causes of the disease are unknown. It is usually effectively treated by a doctor and audiologist. Hearing loss is a difficulty that most people will undergo as they age, but there’s no reason to hasten it or cause it to worsen. Keep an eye out for these seven little-known factors that can negatively affect your hearing in order to ensure that growing older is the only threat your ears will have to face.